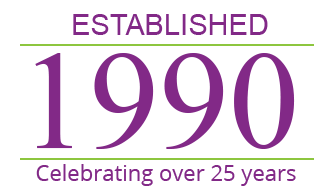 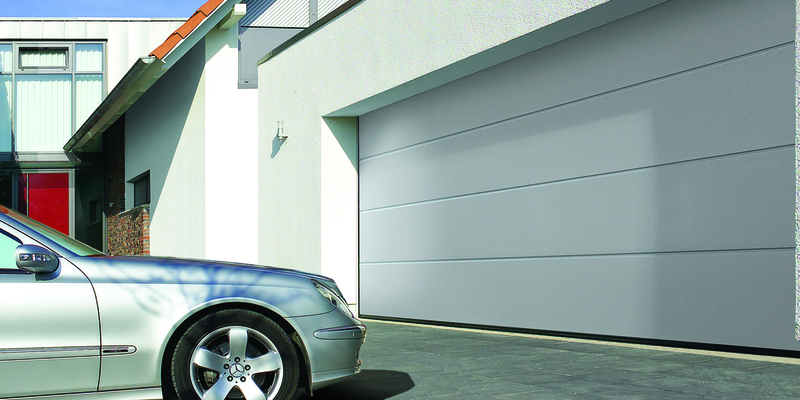 Sectional doors, as the name implies are made up of separate sections. 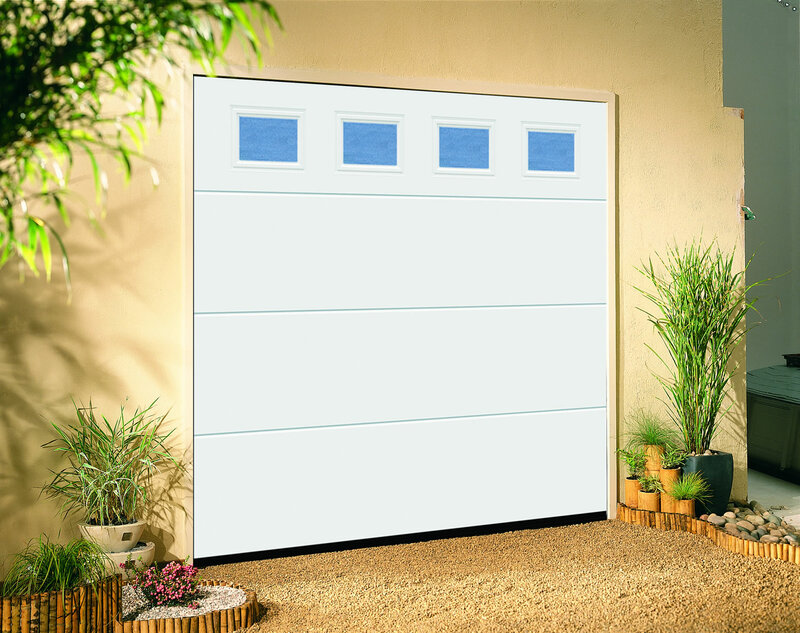 These doors open vertically like a roller shutter but store in the roof space like an up & over. 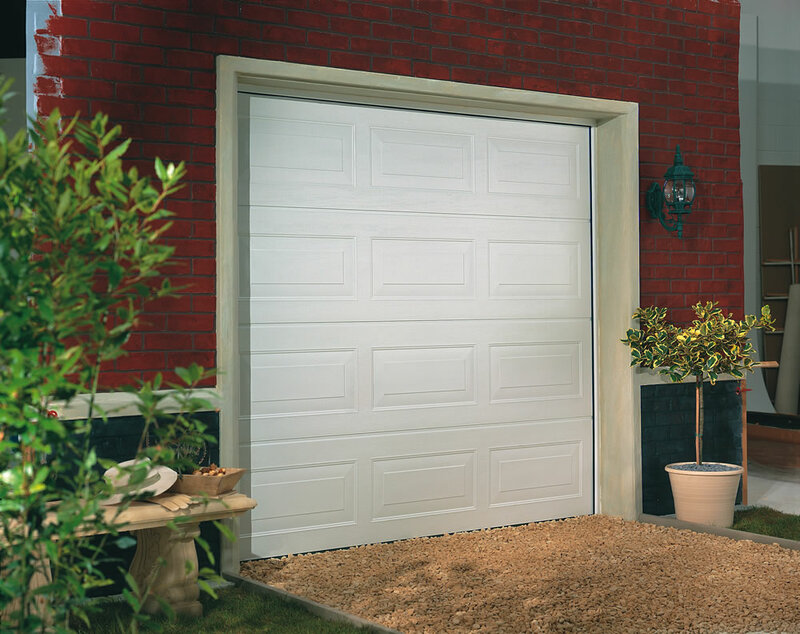 You have maximum drive through width and height and can park close up to the door. 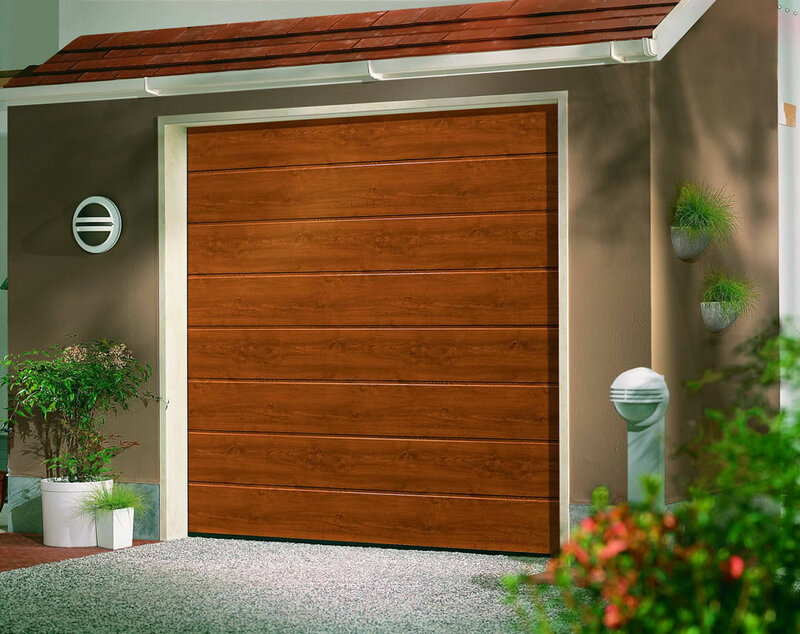 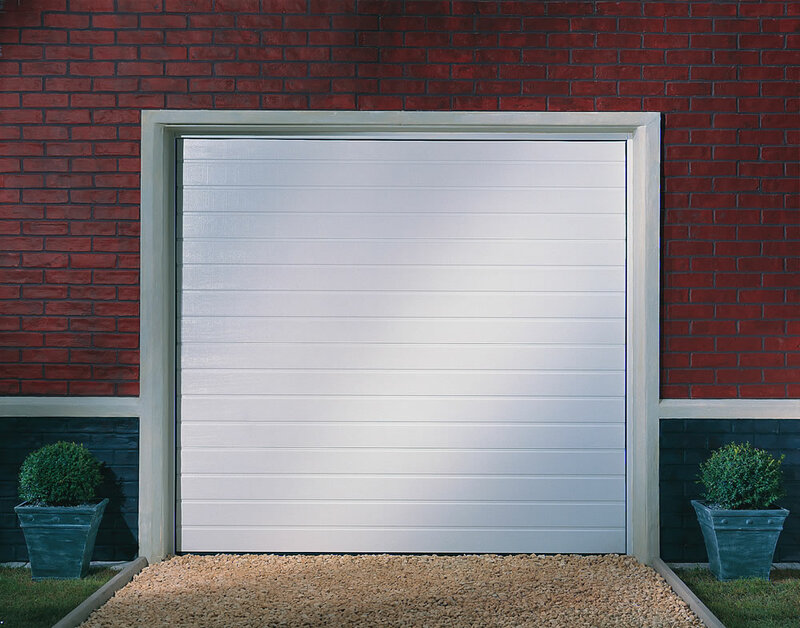 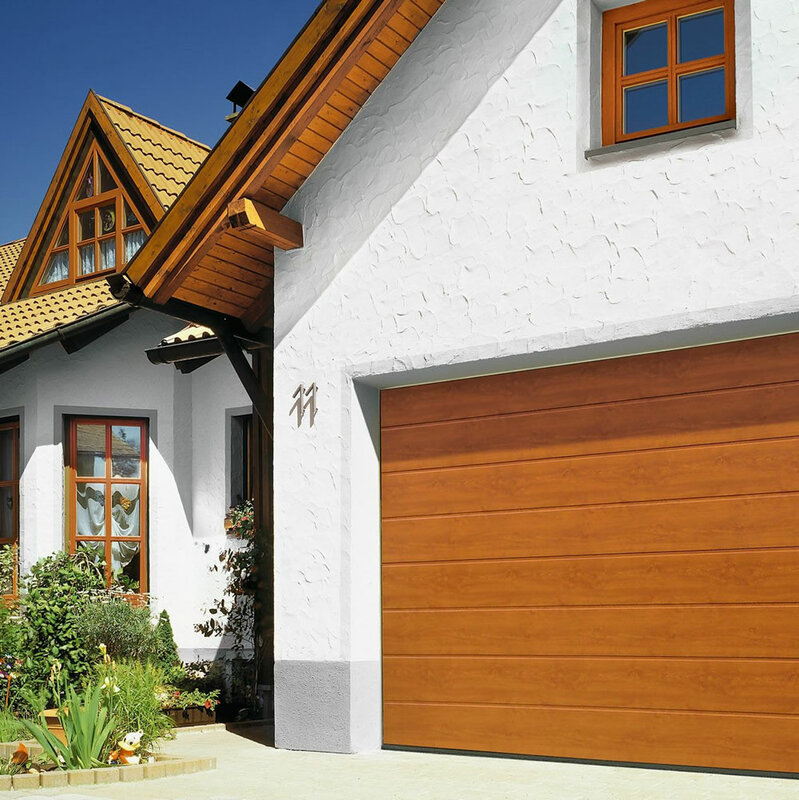 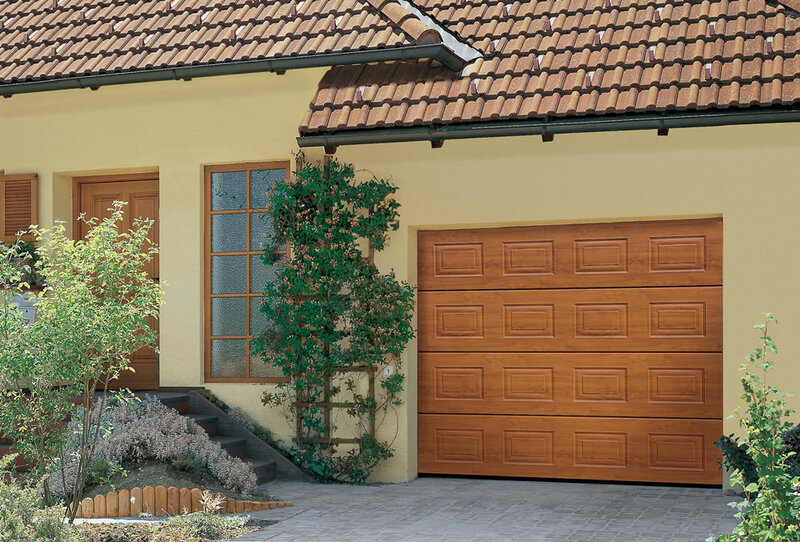 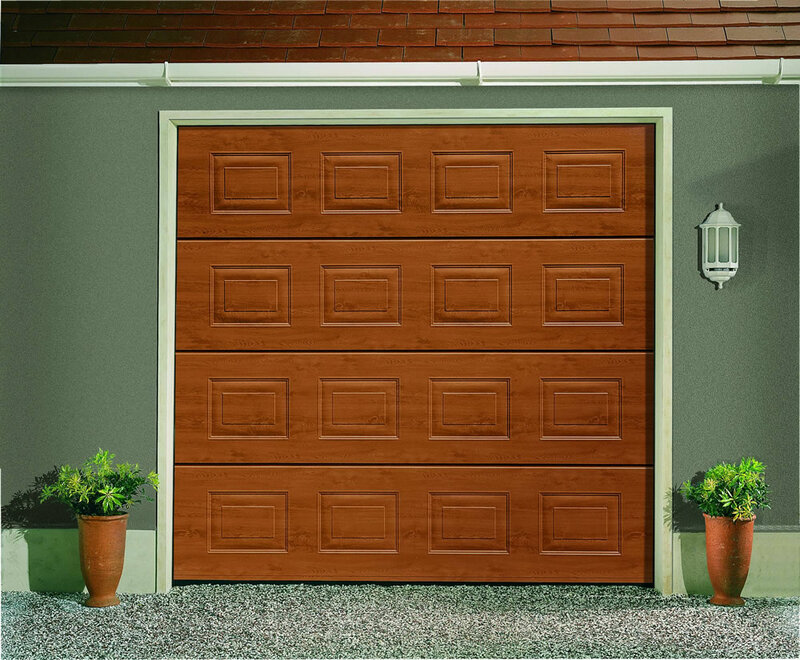 This type of door is available as insulated and single skinned.Sectional garage doors are available in manual or automatic operation in a wide range of colours, styles and materials. 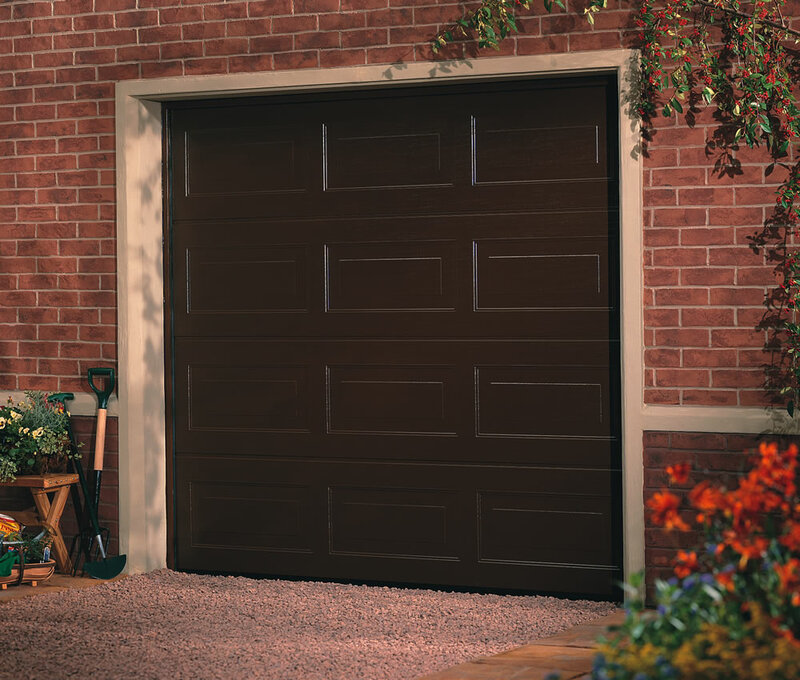 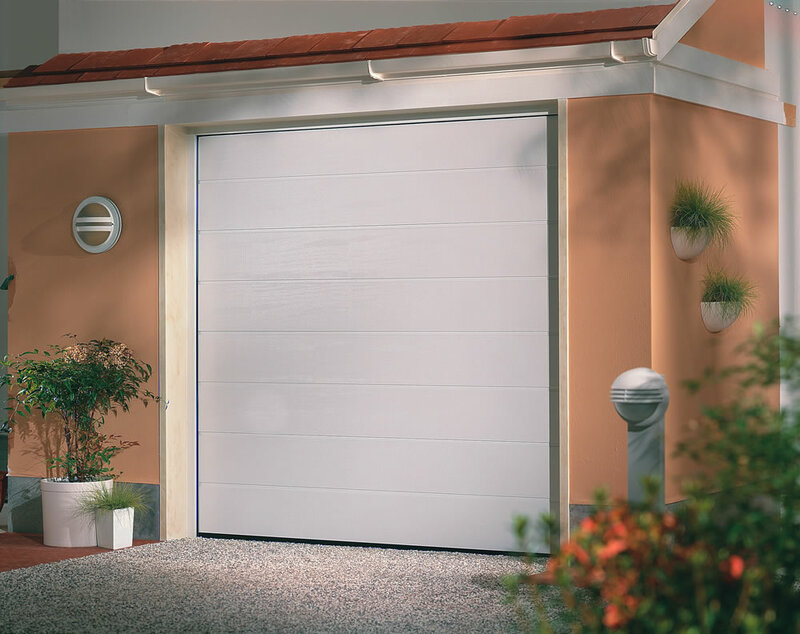 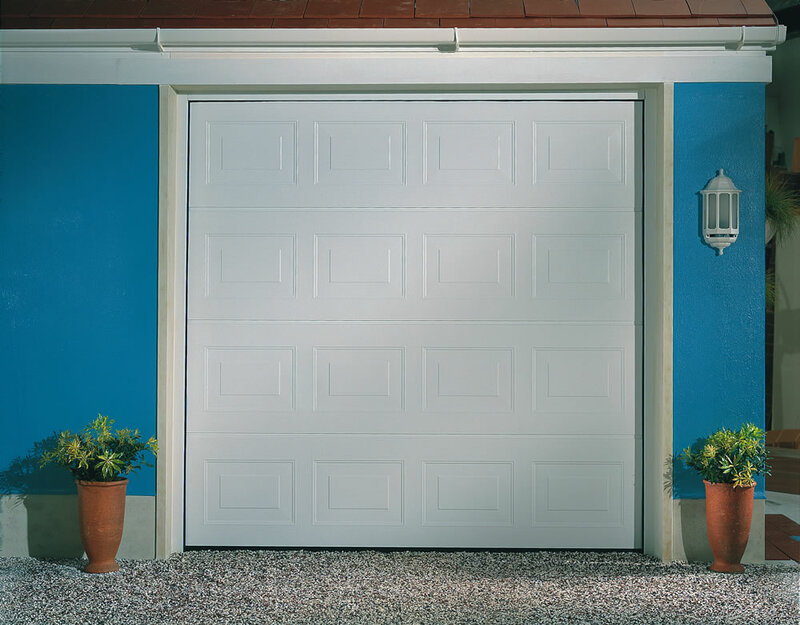 Optional personel door within the garage door is available on sectional doors providing you easy access to your garage without opening the whole garage door.